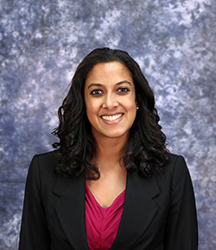 Dr. Nisha Viswanathan, a board-certified Internal Medicine physician, has joined the AMS Board of Trustees, representing District 2. She is currently a hospitalist and core faculty member of the IM residency program at White River Medical Center in Batesville. Society and writes a biweekly column on health and health policy for The Batesville Guard. She currently lives in Batesville with her husband, Andrey, and fluffy Shih Tzu, Max.